It’s a small price to pay for a product that can serve as your nighttime moisturizer, a skin toner, makeup remover, whole body moisturizer, leave-in hair conditioner and can also be a cure for acne, stretch marks and razor bumps and burns. “It’s important to note though that you get the real deal. So be sure to get it from somewhere that has a longstanding reputation for reliability and quality. 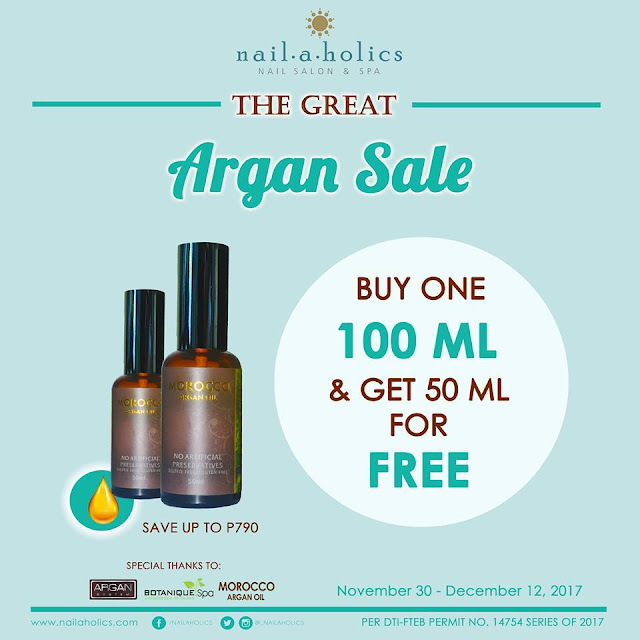 It’s the concentration of argan oil that allows you to receive all its benefits, so make sure you’re getting it from a brand that can be trusted when they say that they are giving you a bottle with no artificial preservatives,” shares Lorraine Baterina, Brand Manager of Nailaholics Nail Salon and Spa.